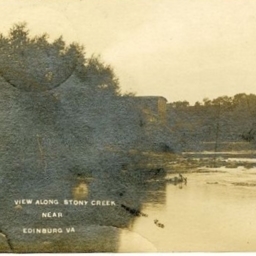 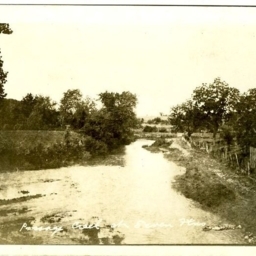 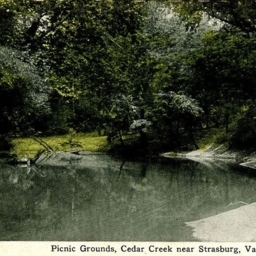 Postcard with a picture of Stony Creek near Edinburg Virginia. 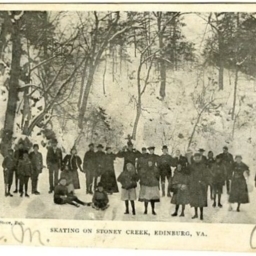 Postcard with a picture of individuals skating on Stoney Creek near Edinburg Virginia. 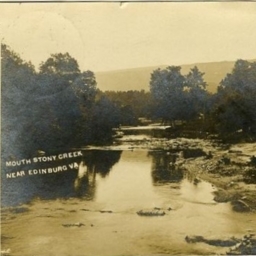 Stony Creek, looking West from New R.R. 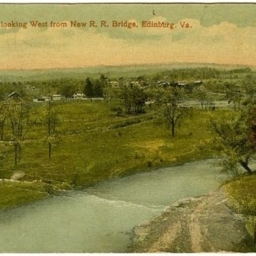 Bridge, Edinburg Va.
Color postcard with a picture of Stony Creek taken from the Railroad Bridge in Edinburg Virginia. 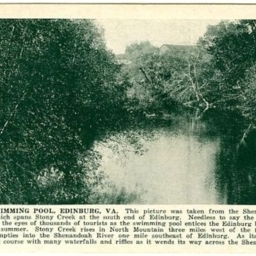 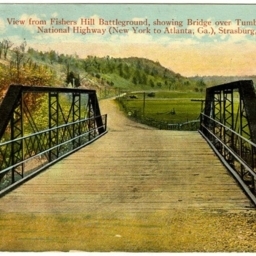 Postcard with a picture of Stony Creek taken from near Edinburg Virginia. 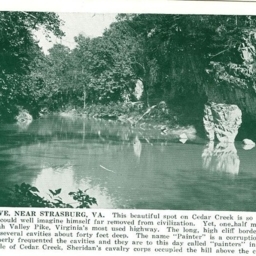 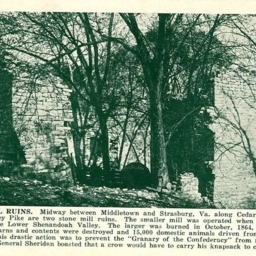 Postcard with a picture of the mouth of Stony Creek located at Columbia Furnace near Edinburg Virginia. 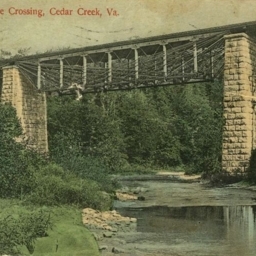 Swinging Bridge across Stony Creek Edinburg Va.
Postcard with a picture of a swinging bridge across Stony Creek near Edinburg Virginia. 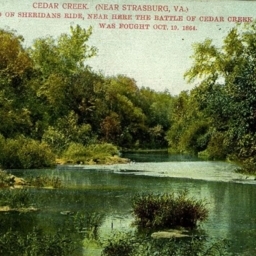 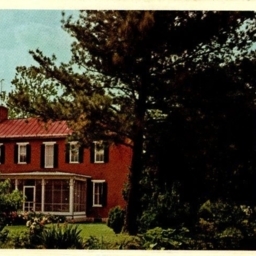 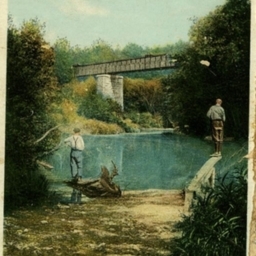 Color postcard with a picture of Cedar Creek and a sentence about Cedar Creek battelfield. 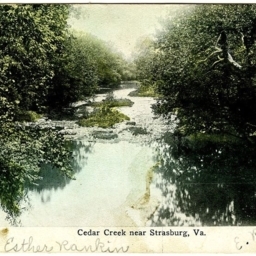 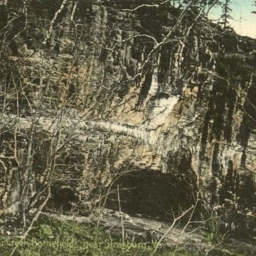 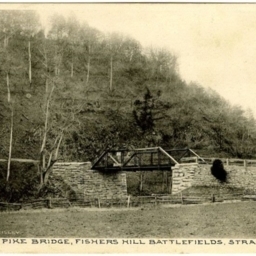 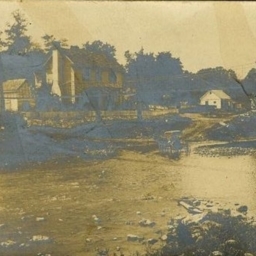 Postcard with a picture of Passage Creek near the Seven Fountains Community in what is now Fort Valley Vriginia.